Although I have had a Nexus I did not start using ROMs until mid august because I love the feel of stock Android anyway but after a while with Jelly Bean I felt I might as well give a ROM a proper chance. I only moved onto the proper official Cyanogenmod nightlies on the 1st of September as I have crappy Irish internet that takes a stupid amount of time to download 142mb. I had been using the pre alpha builds from Google+ since the middle of august and was really enjoying the ROM even if it did have its issues (none of which I can find in the official nightlies). I find the nightlies to be incredibly stable. I have never noticed my phone rebooting randomly and no lag or slow boots (as fast as stock). I really was not expecting the nightlies to be so stable as the pre alpha builds had been pretty rough but perfectly usable. Some of the features in Cyanogenmod are just brilliant and have become things I would miss going back to stock (although one of them would not be needed when I upgrade to a newer Nexus). Extended power menu gives you the ability to reboot the phone which can be very useful at times but its not a major thing to have to turn off and back on manually anyway. Backlit key notifications is the major thing in Cyanogenmod I love at the moment. It lights up the backlight on the keys of the phone to work like a notification LED which the Nexus S does not have for some reason. This is my most used feature at the moment but something I won't need once I upgrade to Galaxy Nexus or newer Nexus. The Cyanogenmod SMS app has now added a quick reply button to the SMS notification which opens a lovely holo themed popup box to reply to the message without ever unlocking the phone. Notification shade toggles for whatever you want! I prefer the look and feel of the the Cyanogenmod toggles over the AOKP or TouchWiz style toggles. 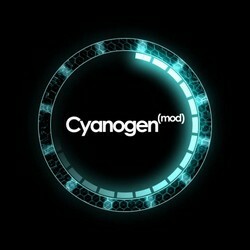 Of course that is not all the features of Cyanogenmod 10 but they are the features that I like and use the most. I really like the stability of Cyanogenmod (even in nightlies) and the added features are a lovely little bonus on top of the beautiful stock Android.